The purpose of this article is to present the most common Nepali spices typical of this country, along with their medical properties. Akhbare khursani is also known as dalle khursani, meaning round chilli is the spiciest spice of the world. The fully mature fruits are mostly shaped like cherries and are glowing red. Grown in households in Nepal and commonly used as a condiment to daal and curry. Especially willing to use them in the cold winter months. This variety of chillis is not for people with weak nerves, but many claim that once you taste – you will be addicted to his hot taste. Some also believes that it has a particularly unique antiseptic property. This kind of chilli is very expensive and can sell up to 500rs per kilogram. So cinnamon grows wildly in the middle and higher parts of the Nepalese mountains. It is not grown in commercial quantities. For the family you can see a collection of Cinnamomum tamala trees. Deep-fryed traditional Nepali rice “donuts” called “Sel” are prepared with cinnamon. It behaves like a baking powder, causing swelling during deep frying and keeping the whole donut hole filled. In Nepal, the bark of the cinnamomum tamala bark gives “real” cinnamon, unlike the popular cinnamon “cassia” from China or Ceylon cinnamon. Corks and leaves are used to fight diarrhea and colitis and some other digestive ailments, control nausea and vomiting, and astringent and stimulant. Known as cinnamon “Cassia”, grows wild in the entire Himalayan region, as are dalchini trees, at the same altitude. In Nepal, however, Kaulo is rarely used as a spice. 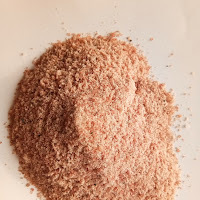 Kala namak, kalo nun, bira nun or black Himalayan salt is extracted in the form of pink-brown crystals and powdered to form a regular salt with a specific light brown color. Kalo nun has an intense ferrous-sulfur scent and aftertaste, so that in appropriate amounts it gives the dish an interesting taste. Perfectly mixes in salads. Used by vegans in combination – for example – with tofu can be a substitute for chicken eggs. and is often used as a laxative and improves digestion. It has also been found that black Himalayan salt cures thyroid goitre. It is also believed to relieve palpitations and has the power to withdraw hysteria attacks. To this date, kala namak is used in conjunction with other vegetable and mineral ingredients as a toothpaste. Nigella sativa – black cumin. 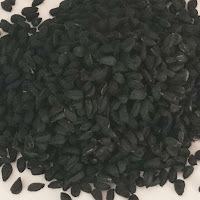 Black cumin seeds are commonly used as a condiment in India, Nepal and the Middle East. The black, triangular seeds of Nigella sativa remind the combination of onion, oregano and black pepper in taste. Roasted seeds are used for seasoning curry and vegetables. In recipes with only poultry, fruit, vegetable and lettuce it can be used instead of black pepper. Black cumin is used as an antidote to the side effects of chemotherapy. Kalonji helps to lower blood cholesterol levels. In cold is used as an analgesic, antipyretic and anti-inflammatory. 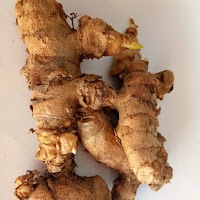 Thus Nepali ginger grows in the high-lying region of the Himalayas, so it has indeed a unique flavor and aroma. Besides, ginger is widely grown in the world. Adjuvant ginger is more fibrous than its lowland relative. About 20 thousand hectares of cultivated land in Nepal is for growing adhuwa. Thus, Nepal is the fourth largest producer of ginger after India, China and Indonesia. Ginger is the most basic spice in Indian and Nepali kitchen. Use in various forms: whole fresh root, dried root, ginger powder, pickled ginger or preserved. Best known as an effective remedy in digestive disorders – worldwide commonly is drunk tea ginger. By increasing the production of digestive fluids and saliva, ginger helps to alleviate indigestion, bloating, diarrhea and stomach cramps. Also used as an anti-nausea – for motion sickness and morning sickness. It also releases the symptoms of people suffering from rheumatoid arthritis and muscle discomfort. Ginger root can also be used to relieve fever by warming the body and increasing sweating. Also known as black / brown cardamon is the major spice grown in Nepal for export. It comes from the Himalayas in the Nepal and Sikkim region and has its own unique flavor of “Queen of Spices”. In fact – just after the saffron and vanilla – cardamom is the third most expensive spice in the world. There are 16 types of cardamom worldwide; Five of them belong to the genus black cardamom and they are cultivated throughout Nepal. These varieties are known as Ramsey, Golsey, Sawney, Chibesey and Dammersey. Cardamom oil is a valuable ingredient in the preparation of food, perfume, medicine, healthy food and drink. Most of the Nepalese export of cardamom is destined for India and Pakistan. Cardamom is a fruit of the Zingiberaceae family. Its seed pods taste very strongly like camphor. They are used as a spice in the same way as in India, but the taste and aroma of cardamom are much different from Nepali. 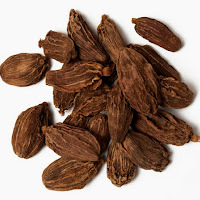 Used as a basic ingredient in Indian and Nepali spice mixes such as garam masala, which contains – apart from cardamom – coriander seeds, black pepper, cloves, cinnamon. In addition, cardamom blends well with rice dishes and curries based on meat and vegetables. As well as digestive disorders and lack of appetite. Carom seeds, ajwan, bishop’s weed. Also commonly used in Nepal as a condiment for dishes. 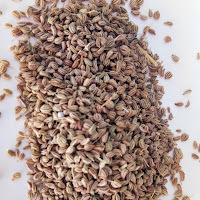 Similar in appearance to the Roman cumin, but smaller, more oval shape. Jwano aroma resembles anise and oregano and thyme, thanks to the high content of a substance called thymol, however, is more subtle in flavor from it. Used even in small quantities can dominate the food. The taste is bitter and slightly spicy. Jwano has special strengthening properties that have long been used to make a beverage or soup called “jwano ko jhol”. It has become a tradition to give such a meal to a woman just after childbirth and during puerperium, as well as to children with colds and generally all during winter months. Containing thymol in combination with some other substances contained in the plant gives particular antiseptic and antifungal properties. 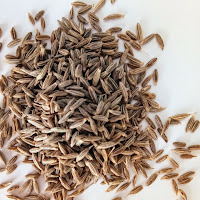 It is believed that its consumption improves lactation, cures cough and cold, and helps maintain body heat during difficult winter months during a long working day outside. Or dhania, Both coriander and seed herb are commonly used in many foods, especially with the use of chicken or other meat. Herbs, roots and coriander seeds give one of the basic spices in Indian and Nepali cuisine. It is very helpful in lowering cholesterol levels. In traditional medicine, coriander is used to beat the fever. It can also be helpful in fighting parasites of the digestive system. 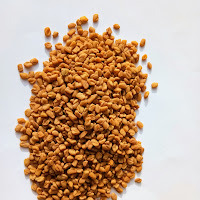 Fenugreek,. The seeds are light brown, slightly glossy, almost yellow in color and have a cuboidal shape. Fresh grains are very bitter in taste. To reduce their bitter taste and extract a specific aroma, they should be roasted or fried for a minute or two. In Nepal, this spice is often added to meat and vegetable dishes. Reduce blood sugar levels in diabetics. Traditionally, it is used to induce labor and stimulate lactation. 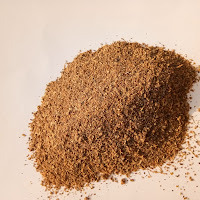 The Roman cumin is a spice obtained from a small Umbelliform plant from the same family as the parsley. Available as dried grains or in the form of brownish-green powder. Kumin adds intense and heavy dishes, quite warm, sharp-sweet aroma. Used in grains, requires pre-treatment, usually at the beginning of cooking. And indigestion and morning sickness. Effective in the treatment of carpal tunnel syndrome. Widely used in the preparation of stimulating tea in some parts of Nepal and northern India. Turmeric has a bitter, slightly peppery and warm aftertaste, light yellow color and is known as one of the main ingredients of any curry. Curcuma longa has a long history of application in Nepali medicine. In India and Napal, turmeric is widely cultivated and widely used in virtually any meat or vegetable dish, mainly due to its excellent medical properties and shiny color. Widely used for centuries in Indian, Chinese and Nepali medical systems as an antibacterial and anti-inflammatory. Inflammation of the liver and kidneys, bloating, colic, blood in the urine, menstrual pain, haemorrhages, hematoma, toothache, chest pain. Preventing cancer and reducing the risk of leukemia in children. In combination with the cauliflower – for example, Bhuteko Kauli – has the power to prevent or even reverse prostate cancer. 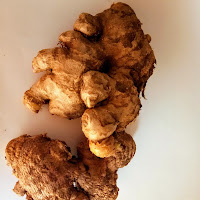 The Nepali equivalent of turmeric, just as ginger grows only in the Himalayas, and likewise has its own unique aroma, valued all over the world. Besaar is not grown commercially in Nepal, but many people in the villages have their own growth for domestic use. In the Nepali cuisine besar is also commonly used as a preservative. Powdered starters are used for picking and picking of fresh meat. As well as for culinary purposes, besar is also commonly used in Ayurvedic medicine. Besar, as well as other turmeric variants, is a natural antiseptic. For centuries it has been used for disinfection of cuts and burns. Besar-based ointment is also used to treat varicella and various rashes. The use of besar accelerates digestion of stomach contents and also reduces high cholesterol levels. As a standard, in Nepali dishes usually with high fat content, besar seems to be essential. In India, turmeric is used in the preparation of the paste “haldi”, which is applied to the skin of the bride, to make it more beautiful and shiny. Similarly, during Nepali wedding, the powder from the besar is used to make the paste “bukra”. Besaar and turmeric belong to the same family as ginger. 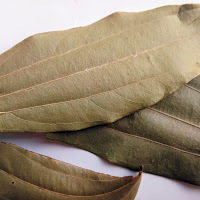 The Indian laurel leaf commonly used throughout Southeast Asia. Tej patta adds slightly cinnamon flavor to the dishes. The pepper is long, with a similar taste, although slightly spicier to its close relative – the Piper nigrum, which produces black, green and white pepper. The pipli fruit consists of many small fruits – each with a poppy size – embedded on a flower-shaped cone. Nowadays, the long pepper or its special medical properties are practically unknown in the West and are used only in Southeast Asia. 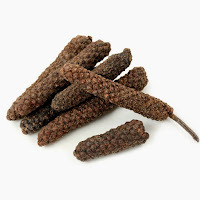 Long pepper contains a compound called piperlongumine, which has so far shown particular activity in the fight against breast, prostate, intestinal, lung, stomach and brain tumors. 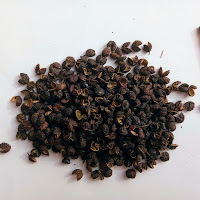 Sichuan pepper is a wild spice grown in Nepal. Widespread everywhere in the Nepali mountains. Although it resembles the look of black pepper, it does not belong to the same family. Species Zanthoxylum simulans is a bushy shrub or a low tree reaching up to 7 m in height. Bark, fruits and seeds are commonly used in the local system of medicine as a carminative, analgesic and digestive enhancer. Fruits and seeds are used as aromatic tonic in fever and indigestion. Fruit extracts are considered effective in the fight against intestinal worms. Because of its disinfecting and antiseptic properties, fruits are used in the treatment of dental problems, while the balm is treated with scabies. It also uses antiseptic and disinfecting timmeric essential oils. The bark is sharp and is a component of toothpaste.